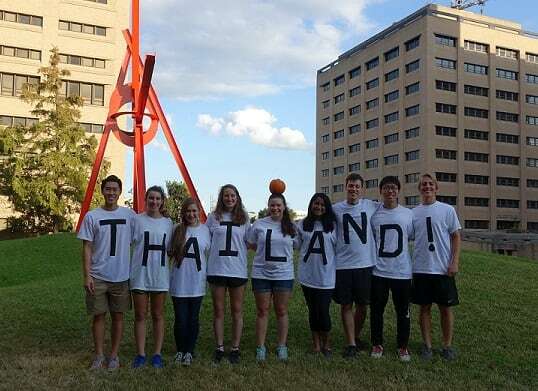 We are a group of engineers at UT Austin working with a community in Thailand to design and construct a project to improve the community’s quality of life. From our academic pursuits, we all have varying international, leadership, and project experience. We came together to utilize our skills and passion to make a change through Projects with Underserved Communities. Our team is comprised of 9 well rounded Civil and Chemical Engineering students. We are on a Quest for the Best way to implement our technical knowledge and to gain real life experiences while making a positive impact on a community in need. Projects with Underserved Communities (PUC) is a program at the University of Texas at Austin that has sparked collaboration between the Cockrell School of Engineering, the International Office, and the School of Social Work. This unique program challenges students to think outside of the classroom and encourages innovation towards an international service-learning project. Over the course of the year we will be designing a water filtration system for the community of Don Kang in Thailand. Our goal is to provide clean drinking water to approximately 400 individuals and create a distribution station to accommodate their needs. Over the school year, we will design the entire project. 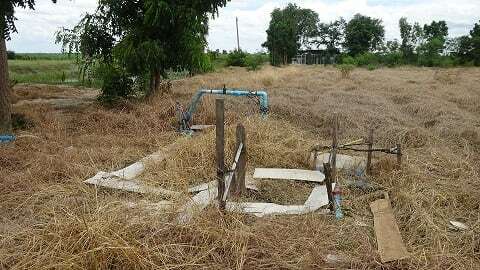 In the summer, we will travel to the community to construct the filtration system and the distribution station. We face challenges related to water quality, accessibility to sustainable sources of water and electricity, and interactions with a foreign community. We are excited to bring our efforts to the community and make a tangible impact on the lives of others. Something as essential as providing clean drinking water requires professional expertise and oversight, but this endeavor will provide a basic need in the community. Our goal is to collaboratively design and plan an economical project within the scope of our capabilities over two semesters, and successfully construct the project in the community at the beginning of the summer of 2017. For the project to be successful, we will build a lasting relationship with the community. We may go to one of the most prestigious engineering schools in the world, but we are so excited and humbled to connect with and learn from individuals half a world away. Together, we can work hand in hand to build the best project for the community’s needs. How can you contribute to the project? In order to provide this project at no cost to the community, we need help to fund the cost of materials. Our estimated cost of the project is $24,000. All donations will go directly to the cost of the filtration system design and distribution station for materials such as: concrete, piping, water filters, and water tanks. These donations are tax deductible and will impact the lives of the entire community of Don Kang! None of the donations will go towards our personal costs, as we will pay for our own travel and lodging expenses. Even the smallest donation will help us achieve our goal. We are happy to announce that we have secured a fundraising match, so every dollar that YOU contribute will actually count as two dollars toward our cause. Please share this page with your family and friends to help us towards our goal! Thank you for taking the time to learn more about our project! We can’t wait to head to Don Kang to construct the project and gain real life experience and knowledge that we will use throughout our professional careers. You can contribute to our cause by making a donation amount of your choosing or by selecting a Giving Level. We believe what starts here, changes the world. How about you? Have any questions? Please contact us through our email pucthailand2017@gmail.com! A drop in the bucket can go a long way! Did you know that a leak of just one 1 drop per second wastes about 1,800 gallons a year? Access to sustainable sources of filtered water reduces reliance on bottled water. Every Brita filter can save up to 300 plastic bottles. The average family uses approximately 400 gallons of water a day. However, the same family will waste about 90 additional gallons a day due to household leaks. Puddles can accumulate on sidewalks and run off into streets as a result of over-watering your lawn. As much as 50% of water used outside is wasted because of inefficient watering methods. Reclamation ponds collect rain water and runoff that can be reused in various applications. These ponds can save millions of gallons of potable water per year. Cities, such as Austin, rely on natural springs for various uses including drinking water. You can help keep these natural water sources sustainable by participating in water conservation efforts to reduce your water consumption. The Great Lakes hold 90% of North America's fresh surface water. However, this resource is not unlimited. High demands threaten the lifetime of the lakes. About 40% of rivers and lakes in the U.S. surveyed by the EPA are too polluted for swimming or fishing. You can help combat river pollution by being more conscious of where your waste ends up. More and more dead zones are emerging in the planet's seas. Dead zones are instances when there is so little oxygen in the water life struggles to exist. The volume of all the ocean water is approximately 321 million cubic miles. This is over 96% of Earth's total water. Most ocean pollution begins on land from fertilizer, pesticide and waste runoff.